Culture has always been an ambassador for the European Union, building bridges between people and fostering mutual understanding. To close the 2018 EU-China Tourism Year, the EU is proud to present European sound and images in Xi’an. A light show created specifically to be shown in Xi’an will provide audiences with an original visual travel experience across the EU Member States. The programme also features the inspiring European Union Youth Orchestra performing a selection of musical highlights by European composers. EU tourist assets will come to life through light and sound in front of the audience’s eyes. 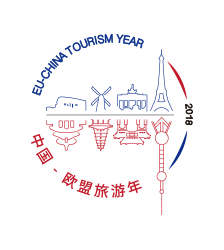 Images will transform and open up in an exciting light show featuring an explosion of shapes and colours illustrating highlights of the 2018 EU-China Tourism Year, tourist destinations from all over the EU, and celebrating the historical links between Europe and China. The light show will be projected in the ceremonial square at the South Gate, part of the historical Xi’an city walls. The European Union Youth Orchestra (EUYO), formed from the finest young musicians from across all EU Member States, is one of the world’s pre-eminent symphony orchestras. Described by President of the European Commission Jean-Claude Juncker as “the best possible ambassador for the European Union”, the EUYO has created an exceptional bridge for thousands of aspiring young musicians and the professional music world since its foundation in 1976.